How does it work to have a wedding planner? 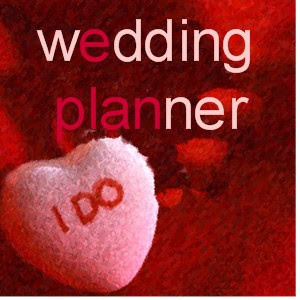 Brides sometimes think that having a planner means they don’t get to do anything and the planner makes all the decisions. This couldn’t be further from the truth. For myself and many other wonderful Colorado wedding planners, we take the time to learn what wedding planning tasks you want to be part of (cake tastings, design meetings, catering tastings) and what you don’t want to deal with (managing the budget, pulling all your ideas together, arranging transportation, confirming the rental orders). The bride and groom always have the final decision. We want you to have the wedding of YOUR dreams (not our dreams!). Here are a few tips on how most professional wedding planners do business. Pricing – most planners charge either a flat rate, hourly rate or a percentage of the wedding budget. Save the Date Events uses a combination of flat rate and hourly, depending on what our client needs. Logistics – We can be present at all of your vendor meetings, some of your vendors meetings or none of them! Some planners choose to attend a certain number of meetings while other planners insist on being at every single one. There is no right or wrong answer. It depends on what the bride and groom feel comfortable with. Also, if you are having a destination wedding, your planner will usually act as your representative at most vendor meetings. Vendor Relationships and Payments – Planners work with you to find the best vendors who fit your style and budget. The bride and groom make the final decision, sign the vendor contract and pay the deposit to the vendor. This is how we work at Save the Date Events. We are your advocate during vendor meetings, keep track of your vendor payments and only recommend the absolute best vendors to fit your style and budget. Once you make a final decision on the vendor, you sign the contract and pay the vendor directly. Then we work with your vendors on the wedding day logistics and details of their service.